A. When you run the setup.exe install file, it will immediately run you through the Icewarp Wizard for adding an account. The first screen that you see will be asking you for a Display name. This can be the clients full name, nickname, or anything that is desired to identify with the client account. 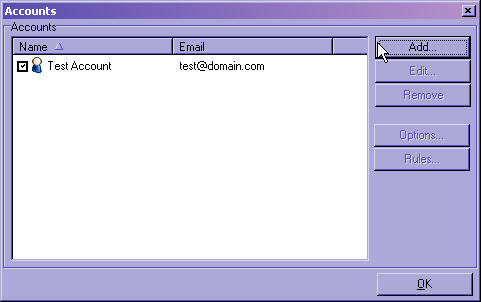 On the second screen of the wizard, input the account information. 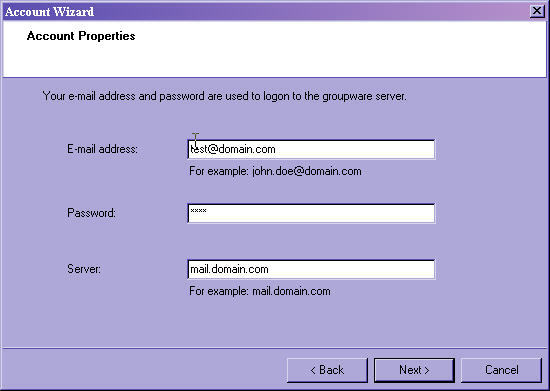 (e-mail address, password to the server, and the DNS to the Icewarp Groupware/Mail Server. 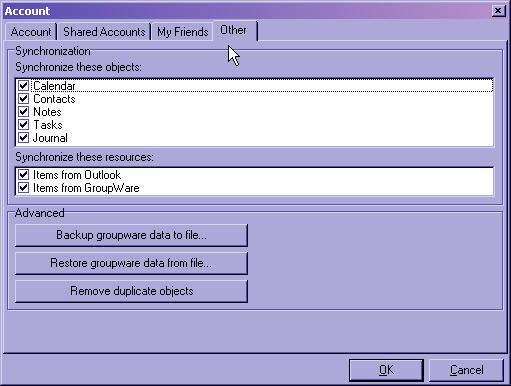 The final screen of the Groupware Connector Wizard asks whether you wish to integrate with the default .pst, create a new .pst or associate this with an existing .pst. 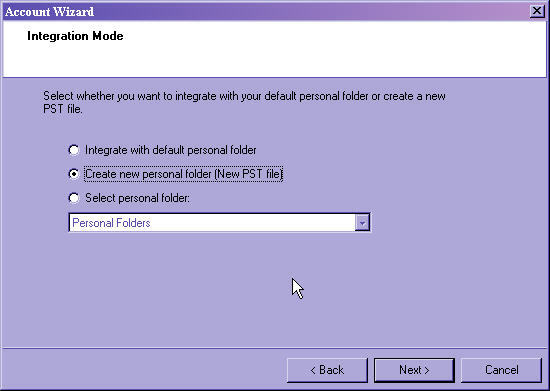 It is suggested that you create a unique .pst for the Groupware to use. This allows easier support for the administrator. This is the final step of adding an account via the initial install. B. Adding an account after the initial Install. The connector will now exist in the Outlook Console. Using the Drop down Menu, select accounts. Follow the Steps 1-3 of the Wizard steps above. 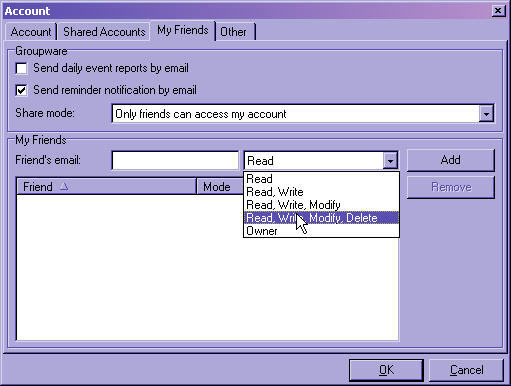 C. Options that can be edited or added after creating the Account Access in the Groupware Connector. All Account settings can be changed here, in case passwords/user accounts/server information changes. 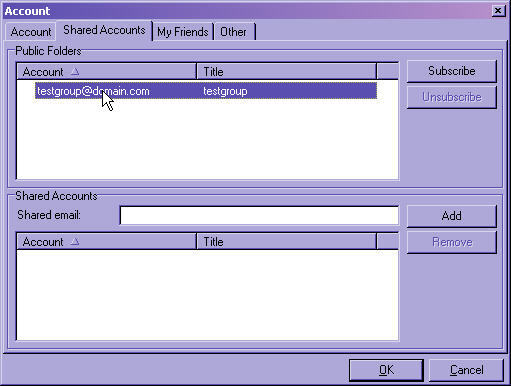 The shared accounts tab will allow clients to subscribe to a shared group(Public Folder)or individual account. It will also allow them to specify who can see and share their own information. The top window designates what Public Folders this client has access to. As soon as a Public Folder is created it will show up as available to the client here, they need to simply highlight it and then click Add. 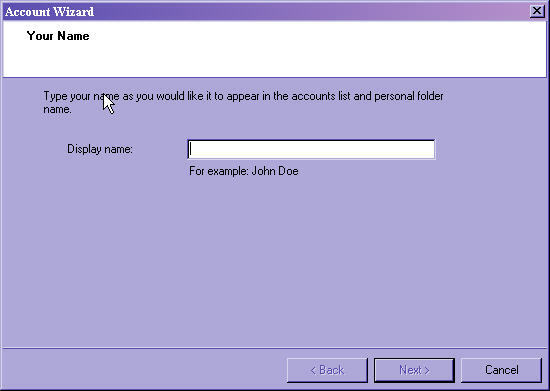 The second window is to add individual accounts that have shared out their access to this client account. On the "My Friends" tab they can add e-mail addresses of those they wish to share information with. 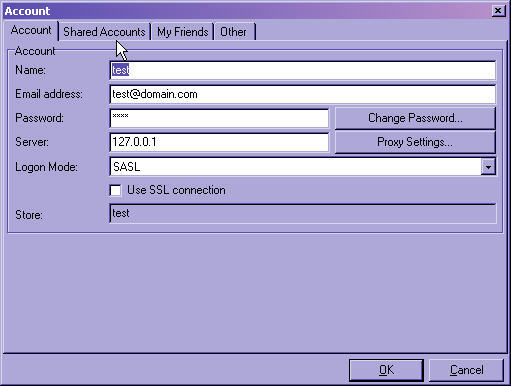 To Create a share for another person, they simply need to add their friends e-mail address in the window and choose the level of control they wish to grant the other account. (The other account must exist in Icewarp). 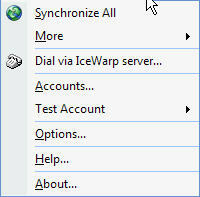 On the "Other Tab" It is possible to set which services will get synchronized between the Icewarp Webmail and the Outlook Connector. Simply uncheck those options that you do not want to synchronize.